Finding your next new Chrysler, Jeep, Dodge or RAM or used car in Tulsa was the easy part. Now comes the hard part: Finding a car loan or lease near Tulsa, Broken Arrow, Claremore and Bartlesville that will work for you. 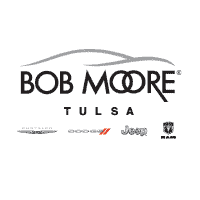 Or, that would be the hard part if you were somewhere other than Bob Moore Chrysler Dodge Jeep Ram Tulsa. Our Dodge, Jeep, RAM and Chrysler financing experts know all the tricks of the trade, and they’re ready to put them to good use. Ready to finance your next Charger, Grand Cherokee, 1500, 200 or Avenger? Fill out our finance contact form. Or, if you’re more interested in speaking face to face, feel free to visit us in person at 4627 South Memorial Drive, Tulsa, OK during regular our business hours.